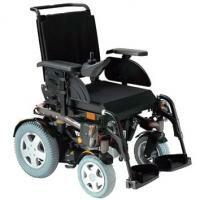 If you need to rent an electric wheelchair, we can help with a wide range of models and stock. The Comet family will make you enjoy a nice walk and reach a high speed safely. With its large wheels and powerful engine with adjustable suspension both front and rear wheels, the Comet offers a superb shift results. It is equipped with a speed limiter that automatically reduces speed on bends for safety and maneuverability. 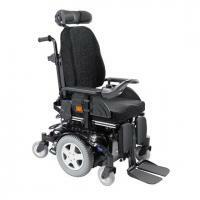 The new Invacare Fox uses the latest innovations to make daily life of wheelchair users easier. 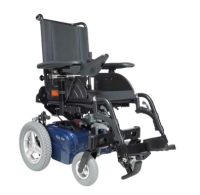 Thanks to its modular design, lightweight and compact offers excellent maneuverability indoors, while its oscillating axle and the optimized position of the battery ensure excellent traction abroad. It also comes equipped with a multi-adjustable seat that adapts to the different needs of users.